Since I decided to write about Aspergillus fumigatus last week, I thought it’d be alright if I did a sort of “Aspergillus Series” and keep this ball rolling. 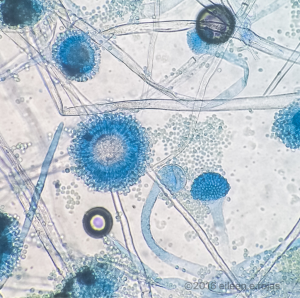 So just a quick recap; Aspergillus species are the second most encountered fungi in the clinical laboratory. Aspergillus fumigatus is numero uno. 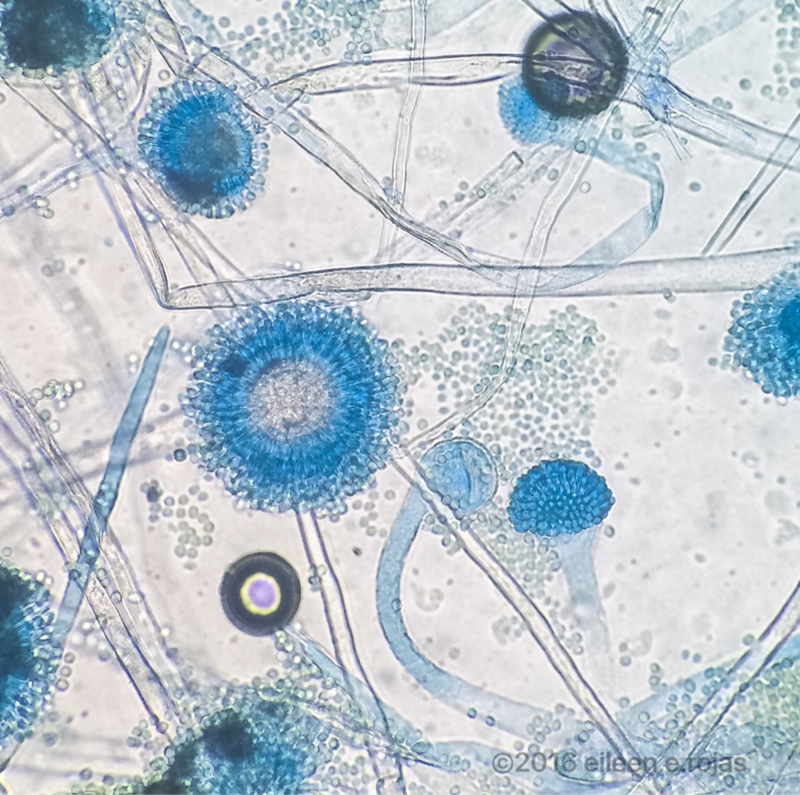 In my lab, Aspergillus niger is numero dos. 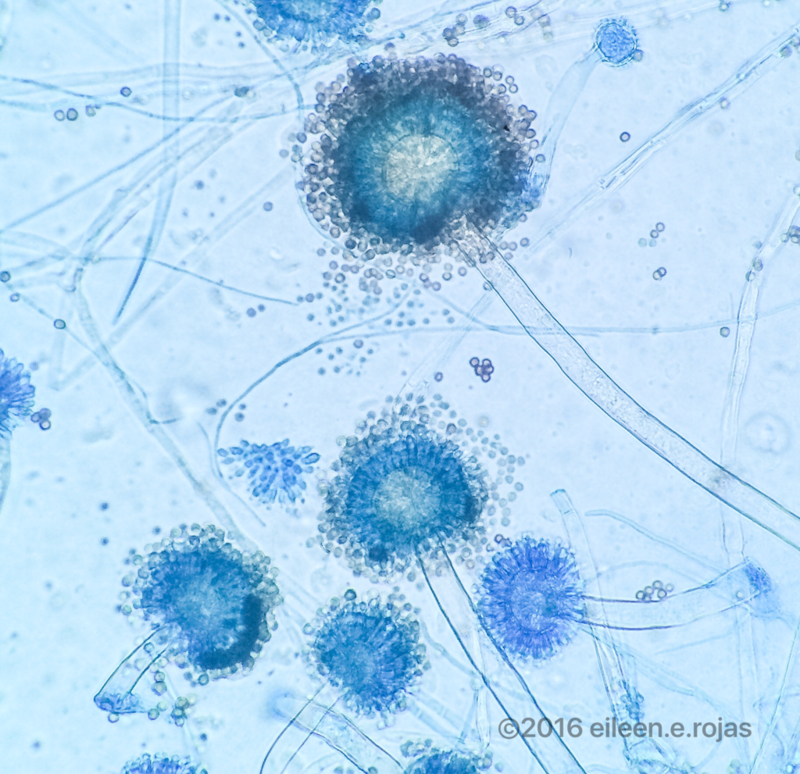 This blog post is going to be pretty short, since everything about Aspergillus fumigatus applies to Aspergillus niger. Ubiquitous in nature, grows on buildings, on food, blows in the wind everywhere. Can cause a plethora of potential health problems in some individuals. 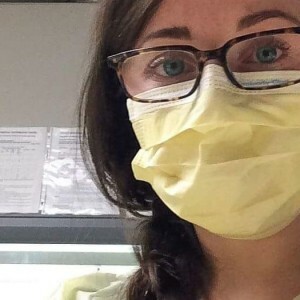 Davise Larone’s Medically Important Fungi states that Aspergillus niger is most commonly isolated from the external ear, and I have to say that’s frequently where I isolate it from. Ear cultures. It shows up in suptum and the sinuses with fair frequency, but shows up in ears all the time and it does cause otomycosis (fungal ear infection). In the petri dish on the appropriate media (my favorite is potato flake agar), this guy is ready to go in about 3 days. The surface of the colony is heavily peppered black, with a white periphery. I often see some yellow buried under all the black as well. The reverse side of the agar is light in color. 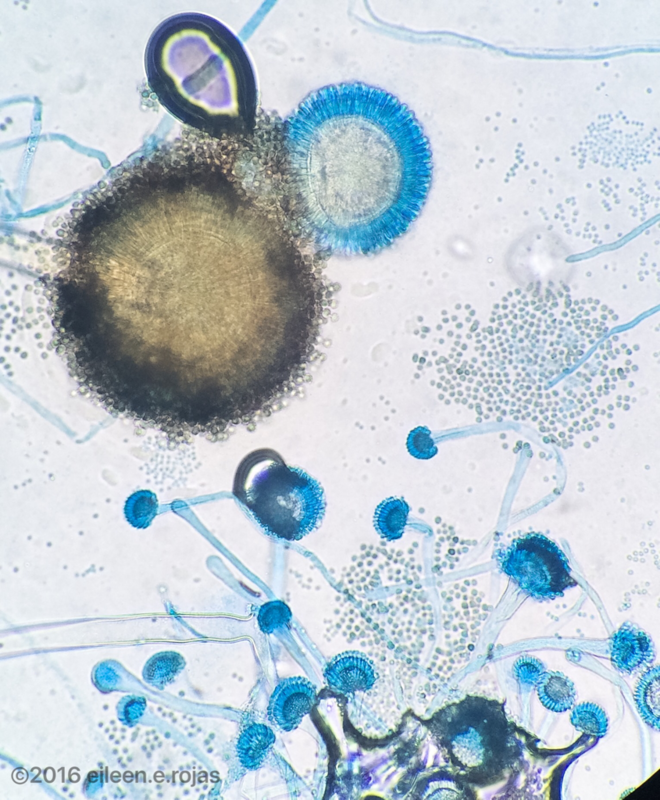 Microscopically similar to Aspergillus fumigatus with a swollen vesicle and foot cell, the two species differ in size (niger is much larger as shown in the photo at the top) and phialide structure and arrangement. The phialides of Aspergillus niger are biseriate (fumigatus is uniseriate), meaning they stand on a pedestal called a metula. The metula is the structure that is attached to the vesicle (in fumigatus, phialides are attached directly to vesicle, no metula). 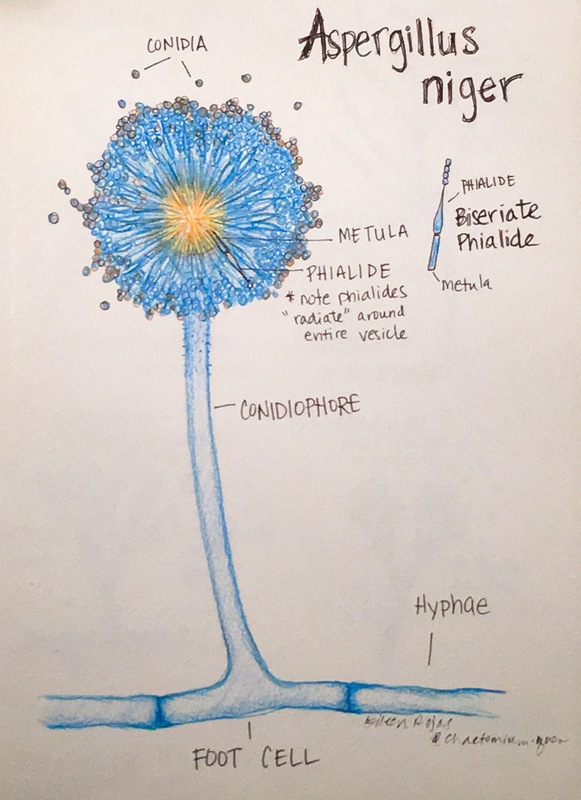 The phialides radiate around the entire vesicle, instead of in columnar formation as seen in fumigatus.